Bindu comes in kitchen where Butter machine is being placed, he tries to make butter from milk but dont know how to use machine, he ask everyone to leave, all leaves, Ashok comes there and laughs, Bindu ask why you are laughing? you do this and then you will understand how difficult it is, Ashok says i have seen my mother doing it swo i know how difficult it is, i know someone who can help you, Bindu ask who? Ashok says a dasi, Bindu says no if any queen gets to know it then it will be problem for me, Ashok says this will be our secret, Bindu says then why you are here, bring her? Ashok comes to Dharma and says come with me, Bindu wants your help, Dharma says how can i go to him? Ashok says i know you are afraid that he may recognize you as the one whom he punished, he puts veil on her face and takes her. Ashok brings Dharma in kitchen, she comes infront of Bindu and has veil on her face, she runs machine, Tum hi to mere ho plays, he takes ropes from her and tries but cant do it, she takes rope back from him and shows him again how to use it, Tum se hi jeevan hai plays, both work together on machine and it works, Bindu gets happy as its working, Ashok sees all this and has tears in his eyes, Dharma starts leaving, Bindu looks at her, Ashok comes infront of Bindu, Bindu thanks him and looks at butter, he ask Ashok to come and taste it as it got possible because of you, he makes Ashok eat butter with his own hands, dharma sees this from far and is in tears, Bindu ask is it nice? Ashok says nothing is more tasty than this, Ashok makes eat too with his hands, Dharma have tears of happiness and thanks lord, she says you are great, you can fulfill wish of everyone, my son got love of his father, she cries in happiness, Bindu says to Ashok that the time you have come in my life, you have helped me in all problems, thanks, Ashok says i never did anything because of any intention, my mother has always supported me, Bindu says your mother must be great to give this upbringing, your father is unlucky, he blesses Ashok and leaves, Ashok collects butter which Bindu made, he says all wives pots will be hanged sameway this pot whose butter is made by my mother and father together should be hanged with other pots, its my mother’s right and i will fulfill it, he takes pot from there, Khurasan sees him going and ask his soldier to o behind him. Chanakya is teaching his students, Chanakya says people cross their limits in problem and lose right thing but the good person never cross his limits, we are having these secret classes to make you all ready to protect Magdh, Helena sees Chanakya from far and keep eye on him, she finds Ashok coming there with pot, she stops him and ask what you are doing here? Chanakya says i have called him here as i wanted to tell him that start working on Janmashtmi in palace, let him come in, i should ask you what you are doing here? Helena says do you talk like this to guest? Chanakya says its way of Chanakya, Helena says i was going to buy gift for Bindu, i listened to your preaching, it felt good so i stopped to listen it, Chanakya gives lesson to his students that be away from people who backstab you, they are sugary but have poison in their minds, Helena ask what Ashok is doing here? why he is not working in palace? Ashok nods to Chanakya that he wants to talk, Chanakya tells one more lesson, Ashok understand and leaves, Helena leaves too, Chanakya tells student lesson that you should not tell anyone your heart thing, you should go to right place to tell it. Helena invites Niharika and Ahenkara in Janmashtmi, they go with her. Noor ask Bindu are you ready to make butter? 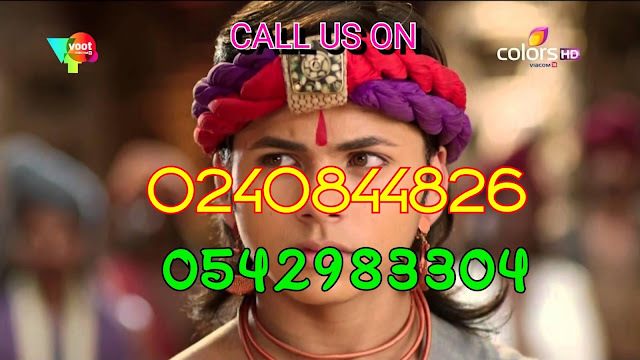 Bindu says i will not disappoint you, Niharika and Ahenkara comes there, Ahenkara gives greeting of Janmashtmi, Bindu wishes her too and ask her to go and have fun, she leaves, Niharika wishes bindu, he wishes back and welcomes in her rituals. Bindu comes to Subhrasi first and makes butter with her on machine, she smiles. Ashok brings pot in palace, Khurasan sees him and scolds his soldier that cant you see what is in pot? Ahenkara comes to Ashok and gives greeting of Janmashtmi, Ashok wishes her too, she ask whats in pot? Sushim comes and gives greeting of Janmashtmi to Ashok and Ahenkara, he says i want to show you something, Ahenkara leaves with him, Drupat and Siamak wishes Ashok, they leave. Helena says to Khurasan that why Ashok is not leaving that pot? khurasan says dont know what is in pot. Charu says to Bindu that you have surprised us all by taking out butter from machine. bindu and his family are doing pooja of Krishna, Ashok puts pot aside and thinks that one day my mother will stand beside Bindu and will do pooja alonwith him, other pots are being put alonghwith Ashok’s pot by servants while Ashok is busy in pooja, other servants come and takes all pots with them, Ashok turns and sees his pot gone from there and is stunned. all wives come in garden, servant says we have put one pot and 3 are remaining, Charu ask from where this 4th pot came from? Ashok comes there and is surprised his pot hanging, Subhrasi says to bindu that dont know from where this pot came from, Charu says we will take it down, Bindu says no its not good omen to take off hanged pot, i think this is trick by my some son to confuse you all about pots, we should not give it much importance. Soldier tells Khurasan that its Ashok’s pot hanging, Helena says he was not leaving pot for second then who hanged it there? is he trying to fool us and divert our attention towards pot so he can leave, Khurasan says he cant fool us now, Khuransan says he is fooling me from many days but now i will catch him with Dharma, Ashok thinks that God is with me, i will get succeed today, he leaves, Khurasan goes behind him. Siamak says that i want to break pot and win this competition, I want to break Sushim’s ego, Sushim says to his team that you all have to put your 100%, i want to break pot of my mother and make her win, one ask how we will know which pot is Charu’s? Sushim says dont worry about that, first let me reach up till there then we will know about pots too. Ashok is going in jungle, Khurasan is following him with soldier, Ashok runs from there, Khurasan ask where did he go? he ask soldier to stay here, i will go and see where he went, Khurasan comes to some isolated place, there is hut there. Ashok is in hut and calls his friends, he ask did you bring what i asked? they say we cant deny anything to Vanraj, Ashok says then beat me, they are stunned, Ashok says we dont have much time, beat me, one guy punches him, Ashok says why with soft hands? you think i am weak, dont forget that i am Samrat vanraj so beat me hard, guy punches him hard, Ashok says great, they beat him, Ashok says please leave me, save me, Khurasan comes there and is shocked to listen Ashok’s screams, Ashok calls for help, he takes rice from his friends and throws it on his friend, friend moves back and it goes in Khurasan’s eyes, friends runaway from there before Khurasan can see them, Khurasan ask where they went? Ashok says i left message in Champanagri, they wanted to meet me alone, they wanted that Bindu should not also come but they came here and said that i cheated them, i have brought someone with me, it was you who was following me and they thought you are with me, Khurasan says you are warrior then how can anyone beat you? Ashok says Dharma’s son is big warrior than me, if he punch you then you will understand, why you were stalking me? Khurasan says i am not free to follow you, i was going from here, i listened your screams so came to help you but you are doubting me, Ashok starts leaving, Khurasan ask Ashok where are you going? 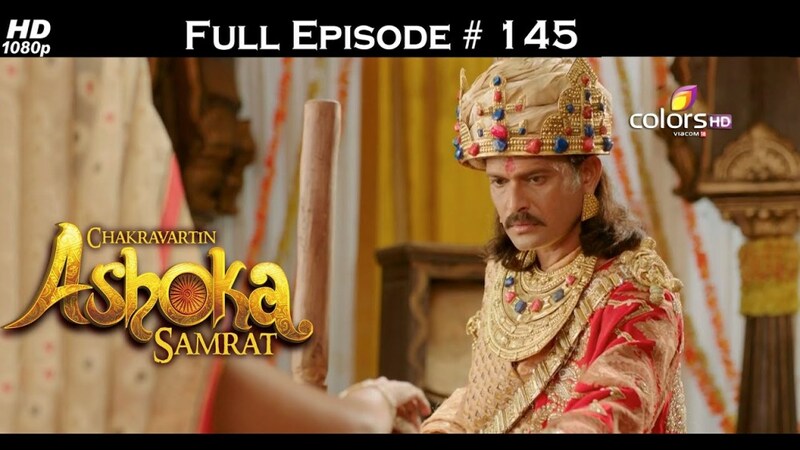 Ashok says i am going to tell Bindu that Dharma wants to talk to him and also will tell name of person who tried to kill Dharma years back, Khurasan is stunned and thinks that if Bindu gets to know that i am involved in this then he will behead me, he says this cant happen, Ashok ask what? Khurasan says you have got wounds, its bleeding? he checks his wounds and says i will do your bandage, he covers his wounds with cloth, Ashok thinks that soon you will beg for your life, you are in my trap now. PRECAP- Ashok says that if Dharma and her son gets to know that you are with me then.. Khurasan says dont tell them that you are with me, Ashok says i will feign ignorance and will show that no one with me, you are not near me but this time you have to follow my words, you will do what i say, Khurasan agrees.